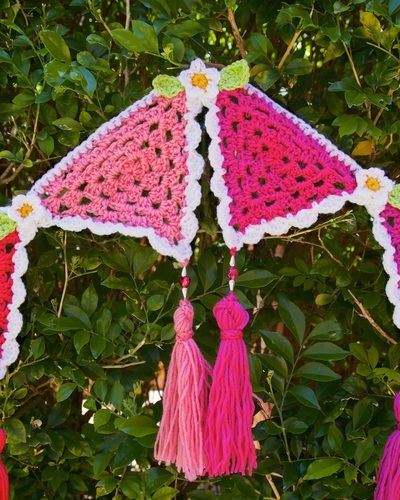 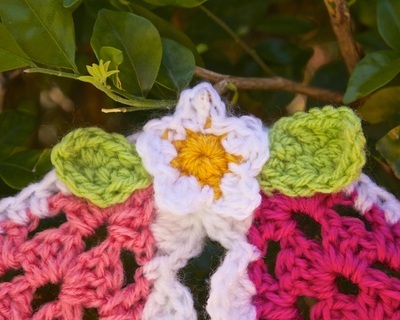 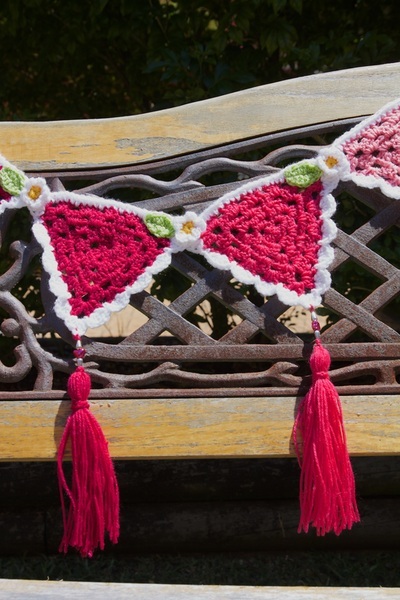 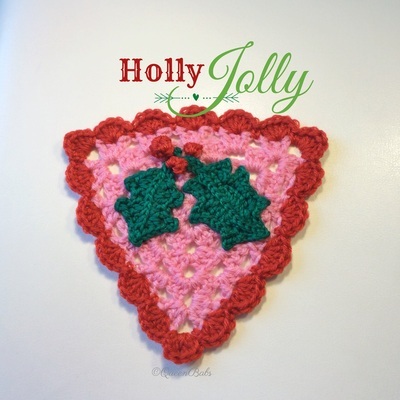 The 11 page pattern costs less than a cup of coffee and includes two variations to make the pink bunting style with scallops on two sides and to make the Holly Jolly bunting with scallops on all three sides. I include a small flower and leaf pattern as shown in my photos. 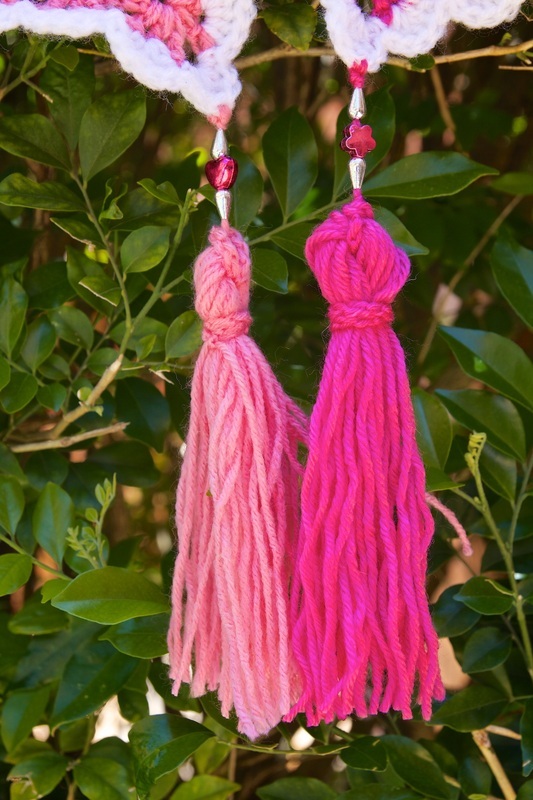 I also include an explanation and photos of how to make the tassels in the photos. 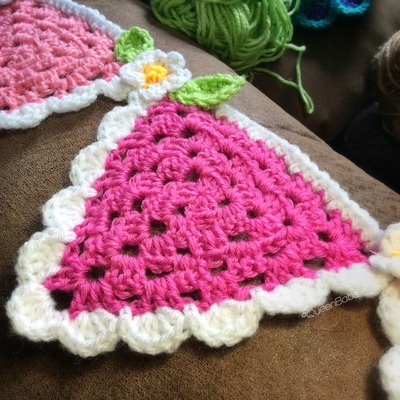 The instructions are an easy level with clear step by step explanations and have been pattern tested successfully by a range of skill levels. 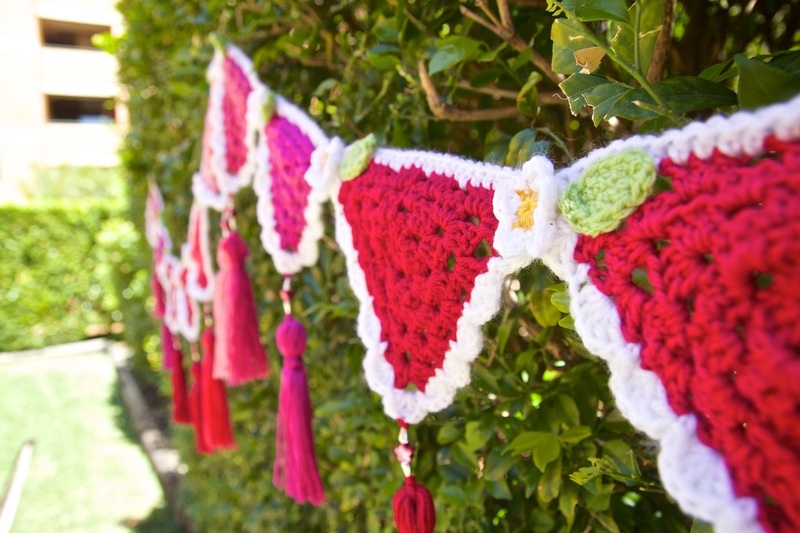 There are several photographs of the bunting, including close ups to show details. 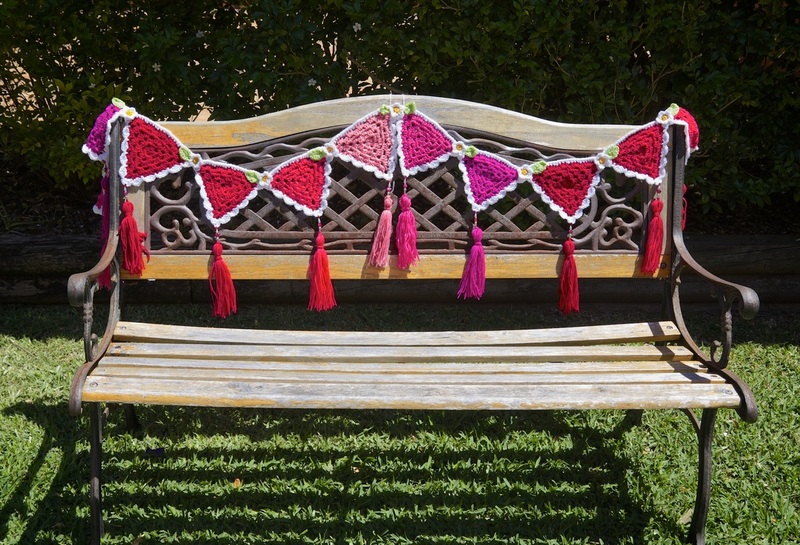 Any profit raised by the sale of this pattern will go toward new yarnbombs and contributions to making the world a brighter place. 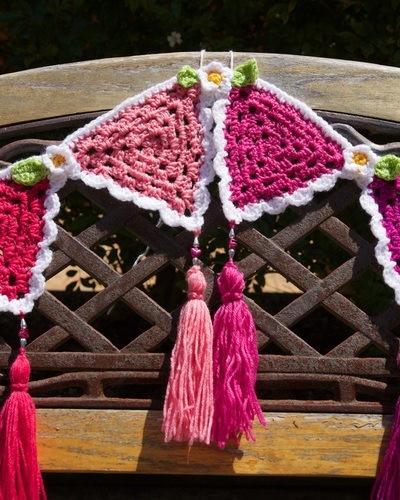 For the pink project triangles, I chose 6 shades of pink with 2 of each made and white edging. 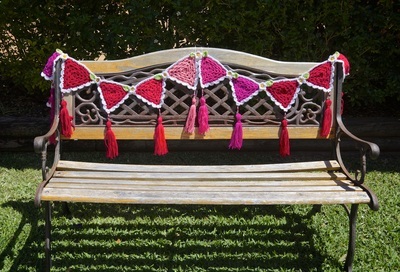 Any colour combination can be chosen. The edging uses the most yarn on the twelve triangles, but used less than one 100g ball of yarn. 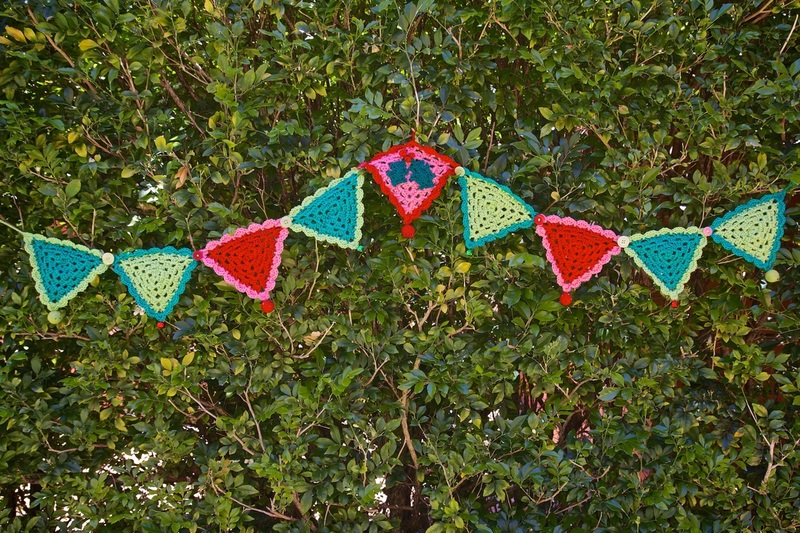 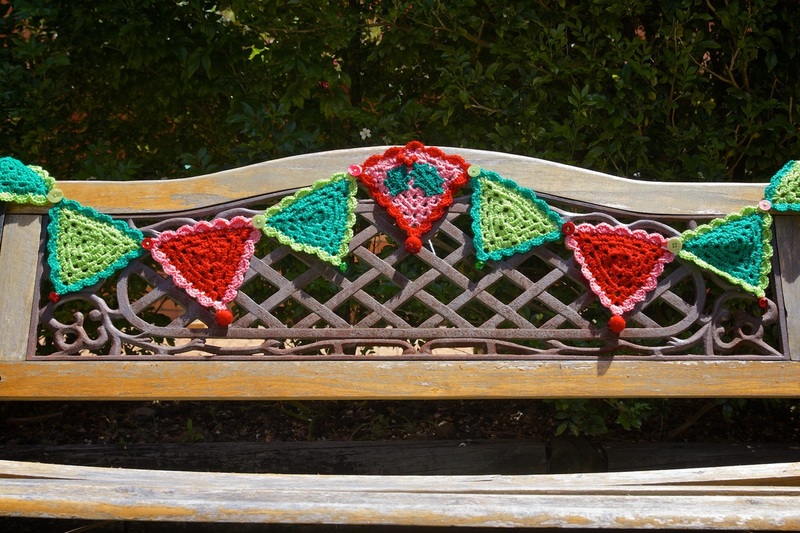 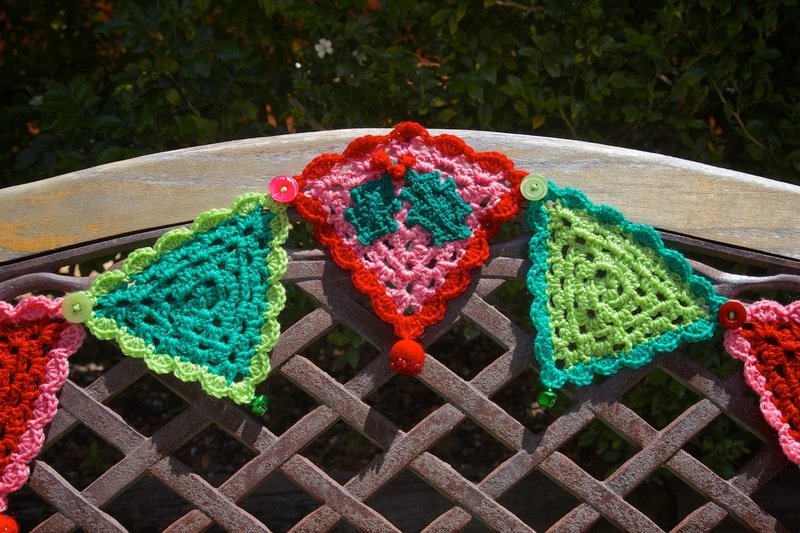 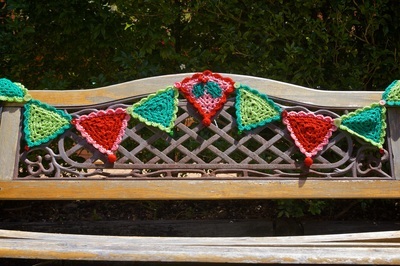 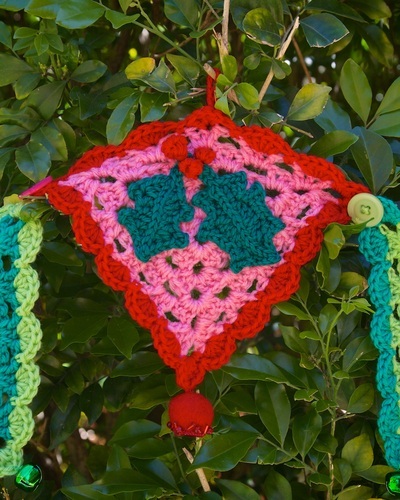 The Holly Jolly Bunting used less than one 100g ball per colour to create 9-12 triangles. 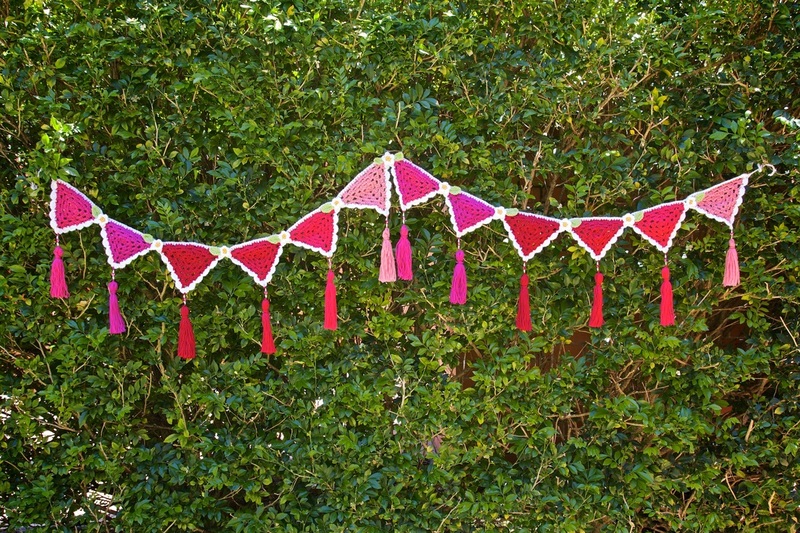 Christmas, wedding or birthday bunting. 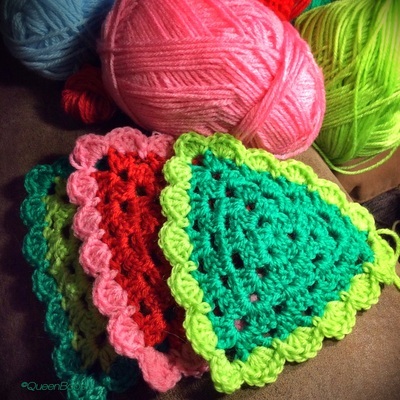 sewn together without scallops for a blanket. 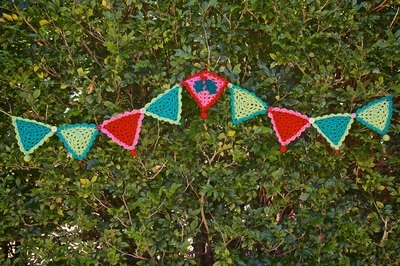 You can change colour and/or add a variety of decorations to change it's function. Girl or boy theme, weddings or Christmas...pretty pink and/or purple with flowers, your wedding theme colours and hearts, green and red with snowflakes, bold blue and lime and cars or animals...the possibilities are endless. 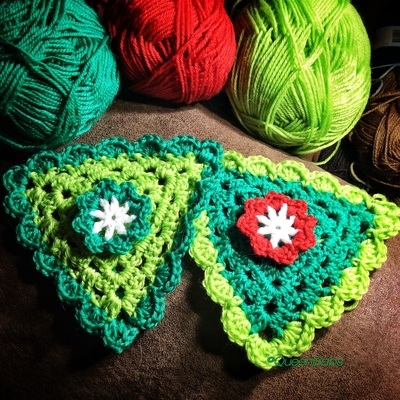 Even your favourite sports team colours could be used. To be a quick project I used one colour per triangle, but alternating the colours would be gorgeous. Think pale blue then dark blue...or change each row red, orange, yellow, green, blue and add scallops in purple for a rainbow effect. 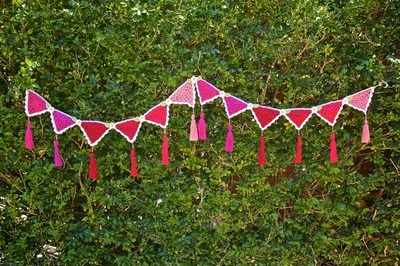 There are heaps of great patterns out there for bunting. 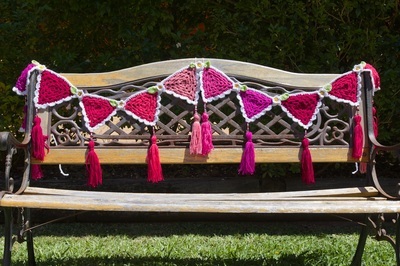 This is mine, designed for me to be easy and quick, but effective. 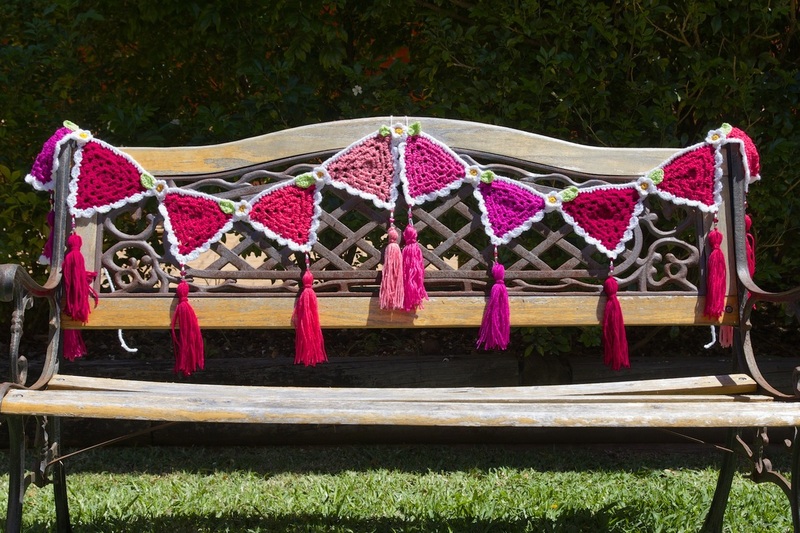 Any money raised by the sale of this pattern will go toward new yarnbombs and contributions to making the world a brighter place.